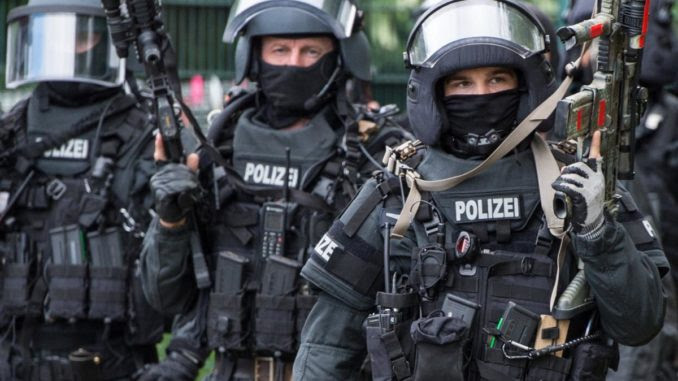 The arrests were made following an anti-terror raid in the central Frankfurt Rhine-Main region on Friday, according to Welt. Rt.com reports: A 21-year-old and two 31-year-old brothers are noted as the “main suspects” in the group and are believed to be associated with the local Islamist Salafist community. All are accused of plotting an “Islamist terrorist-motivated attack” to kill as many “infidels” as possible. Several of the suspects are German citizens, according to the prosecutor’s office, but no other nationalities were specified. The plan was already well established when police foiled the attack, according to German authorities. The group, aged between 20 and 42, were reportedly in contact with various arms dealers and had already leased a large vehicle as part of their operation. About 200 officers were involved in the raid of several apartments on Friday morning, in which more than €20,000 in cash, multiple knives, a small quantity of drugs and large number of documents were also seized.